Various areas within Jet Hub include the ability to send notifications via email. This capability requires that SMTP (Simplified Mail Transfer Protocol) be available within your organization's email system and that a system administrator configure Jet Hub with the specific settings for that email system. 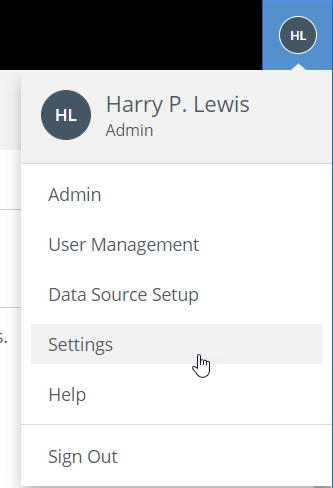 Click on the icon in the upper-right corner and select Settings from the options provided. 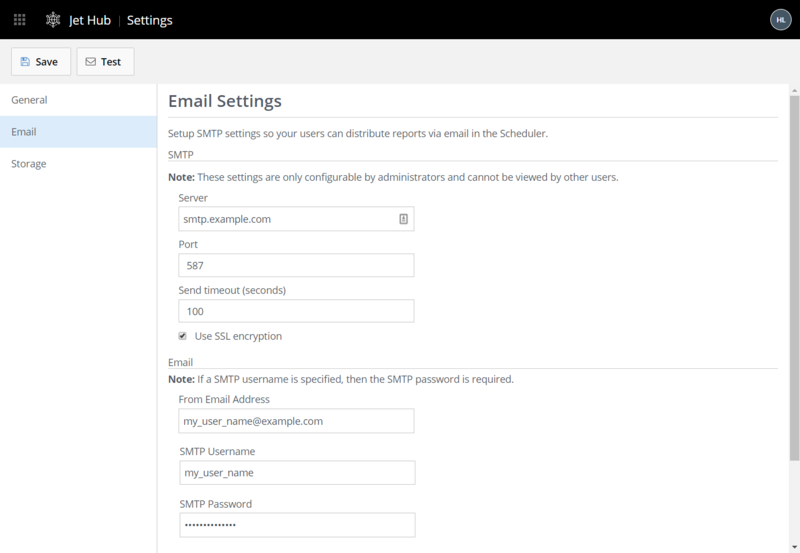 Navigate to the Email section and enter the settings that apply to your specific email system. Note: the settings listed above are examples. Your settings will differ.